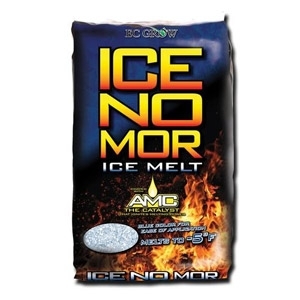 A non-staining food dye is added to Ice No Mor® to aid in visibility during the application process. The water-soluble blue dye makes the spreading process easy and reduces the odds of over-application. Safe to vegetation or wildlife and will not damage treated wood or air-entrained quality concrete when used as directed.